This monochrome laser printer boasts compatibility with a document management system to enhance efficiency, a high duty cycle, and lower running costs. It has scan, fax, and copy functions, too. All these features make the Epson AL-MX300DTN ideal for small to medium workgroups. 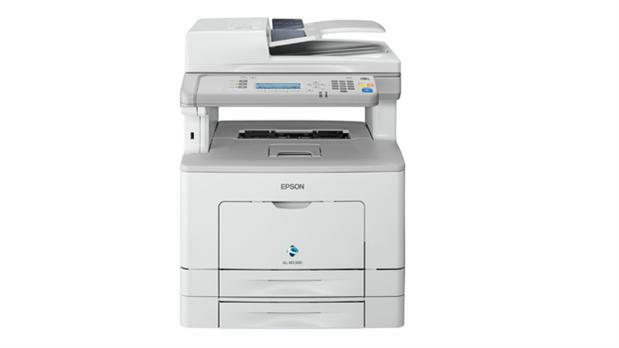 The Epson AL-MX300DTN is compact and easy to set up because of the universal build and the USB 2.0 type A interface. The centrepiece of the Epson AL-MX300DTN printer is the monochrome LCD screen on the simplified and user-friendly control panel. The 1200x1200dpi print engine, digital copier, and flatbed scanner are powered by a 750MHz processor running on 1GB of memory. The paper tray can handle 300 sheets, while the output bin handles 150 sheets. There is a 50-sheet automatic document feeder and a duplexer. The print speed is up to 35ppm, and the overall paper capacity is 550 pages. The first page is delivered in 5.5 seconds, so the speedy Epson AL-MX300DTN helps increase productivity while ensuring lower running and ownership costs. Duplex printing is standard, as well as colour scanning. There are options to enhance the performance and reliability of the Epson AL-MX300DTN and these include Email Print for Enterprise software, iPrint app, and Document Capture Pro for cloud services, document management systems integration, and push-scan functionality. The Epson AL-MX300DTN is a little overpriced for a multifunction device that can only print in black and white. The only option for expansion that is available for the Epson AL-MX300DTN is the additional paper tray to increase the media capacity. The fax memory is limited and the function itself is optional, with limited features. There are also no networking options with this printer.